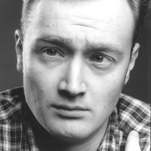 On Tuesday 28th August, 2007, my friend and co-creator of GORSKYS.COMedy, Liam Cody, passed away after a long battle with skin cancer. Liam was passionately dedicated to making people laugh in every medium he could, and creating and maintaining GORSKYS.COMedy has given us both a great deal of pleasure over the last 11 years since we first created the site. It was his hope that this site would continue to grow and entertain people for many years to come. Although it will certainly lack his unique sense of humour, his wish will be honoured. If GORSKYS.COMedy has given you a laugh or brightened up your day, or if you knew Liam, please leave your thoughts and comments on this page, which will remain on the site in perpetuity. I promise next month’s article will be funnier. Hard to believe it has been so long. RIP Liam. I am sure you are toasting marshmallows around that big fire pit in the sky. Well Liam. I wasn’t a great friend, however, we would have been if we both weren’t so stubborn. I think we are both to blame for that. I want to thank you for our regular visits to the local and the time you shared with me. You were a big part of my life at the time and you really made a difference. I wish I had been a better friend. I still remember that day we talked, in our private and evil comedic nature, and you mentioned a skit about a woman checking her makeup in a compact mirror and then being shot in the head. Then i said in my most sincere voice “yeah, she died in.. vanity”. It was the first time i ever saw you actually laugh out loud instead of just saying.. Yeah that’s funny! Then you got graciously jealous for me coming up with the line. What a compliment from Liam Cody! I do miss you! I met Liam many years ago in Canberra and we became friends instantly. He would have me over for BBQs and there he would practice his jokes and music on me. When I moved to Melbourne, Liam was my Welcome Wagon. Over a beer or two and in search of the best chicken parma, we would talk about love, life and laughter. Thank you for the wonderful memories. You will always hold a special place in my heart. My heartfelt sympathy to Caroline, Liam Jr and Liam\’s family. Although we shared the same moniker at campus (a rare thing in those days) I never knew Liam personally. I saw him many times around Monash, performing as the Toasted Marshmallows and then the Gorskys. I followed his career (along with Chris and Jo\’s) with much joy and always admired his tenacity and seemingly endless supply of jokes and articles that sprang from his fertile mind. I learned of his remarkable relationship tale through a friend and was amazed and then, almost too soon after that, I heard about his cancer, which seemed unjust, cruel and premature. Australian comedy has lost an important and vital member of it\’s community and I only wish I had gotten to know the \’other Liam\’ better. Vale. I haven\’t been to Gorskys.com in a few years, but it was my favourite website throughout high school, and Liam\’s writing always made me laugh. I\’m so deeply sorry for Liam\’s family\’s loss, and Chris\’ loss as well. Sincere condolences, and thanks Liam for the many, many, many laughs throughout the years. Liam was a funny and clever man, and thanks to the internet, Liam IS a funny and clever man. He lives on as a cyber-spaceman, boldly joking where no man has jokes before. I had greatly enjoyed Liam\’s contributions to humour on the Internet and in Australia. I have visited this site for several years and, until now, always found something to laugh at. Having seen Liam\’s comedy live only deepens my sadness at his passing. I was shocked and upset at the news. Thank you, Liam, for what you have contributed to the world. Goodbye. I first meet Liam at writers group in Canberra, running in a pub – Filthy Macfaddens. And in the two years plus some months later we where still at it – in the lows and the highs. A very loyal Guinness drinker which I have to say made me poor! We enjoyed not only the weekly times chatting, discussing and planning submissions to propose but in addition a weekly \\\’snag\\\’ on the barbie. Liam was a very loyal, truethful to the core, a devils advocate, a beer buddy, a BBQ buddy, an avid play-station partner, and a treasured friend. I thank him for bringing some polish, grounding, logic and spirit to me. For this – and his fasination for Man-bags will stay with me for life. Thank you Liam for your cherished friendship. I just found this place and I think it is so sad that a man died, when someone dies it makes me cry and I would like to see more stuff about this web site and I hope he is going to a good place!!! As everyone has said before me, Liam was a genuine nice guy. I only saw gorsky\’s on tv once, and it was obvious that nice guy tag was true. What is scary is that I\’m a year older than liam, yet I feel like I\’m only just starting to live. I only knew liam from a distance, yet I miss him, how more so for chris tomkins and liams\’s family. Liam\’s love of fun, laughter and comedy permeated everything he did, and consumed the vast majority of his waking life – ever since he was a small boy. GORSKYS.COMedy came later in life, after a modicum of success performing on stage, and became the outlet for his creative urges for many many years. He loved tinkering with the site to explore the technology available, and to plumb the depths of \’interactive comedy\’, to try to understand what people wanted in online comedy, and to understand how the user could become involved. Liam was a pioneer of video podcasting well before the iPod had ever been dreamed of, he was web 2.0 before most people had an email address. This site was one of his greatest loves, and one of his greatest pleasures. It is wonderful to see it grow and prosper beyond his stewardship. Let the laughter continue . . . This is real saddening news to hear. I always thought some of his comments, articles were beyond hilarious and quite brilliant. I don\’t know what to say, how it could end so soon. I hope his loved ones find courage and strength to deal with this loss. of Liam im truly sorry for your loss and hope that Liams still making people laugh where ever he is.Once again my deepest condolences to those that knew Liam personaly. 12 Months ago my wife and I moved from North Melbourne where we had lived next door to Liam for five years. Liam was a frequent Sunday BBQ guest, particularly before he met his lovely supportive partner Caroline and her wonderful son Liam Jnr. Liam had laughter in his DNA. But he also had intellect, compassion and an amazing thrust for everything and everyone. He will always remain one of the most intelligent people I have ever met â€¦ Itâ€™s particularly rare to ever meet someone who is comedian, intellectually cutting, a wonderful husband and father, but most importantly a genuine great guy! Liam, Fleur and I will miss you. Caroline and Liam Jnr â€¦ you were always wonderful people â€¦ now youâ€™ll go on to be truly special for the time you had with Liam. Liam and I worked on a short film together back in 2003. With Donna and Mitch, Liam and I co-wrote & co-produced â€œBlue Wireâ€. Liam was the lead actor, I directed. My fondest memory of that shoot was the day we filmed â€˜rushing to the car sequenceâ€™: Liam and his crew were dressed in glaring yellow coveralls; one of the boys didnâ€™t quite fit his costume causing Donna to gaffa the back of his trousers shut – 3 times; the mic didnâ€™t work; we were running late; and, then it started to rain. We all rushed to the door. We didnâ€™t have keys so cast and crew sheltered under the short overhang. Liam and I argued â€“ as we were wont to do â€“ about whether it was possible to continue or not. People started crowding us in â€“ something neither of us liked, I think. And we had to yell above the noise â€“ which only made things worse. Then half a tree blew passed. Jammed up a plate glass window we both watched it sail majestically by. We had been so caught up in the minutia that we hadnâ€™t noticed how extreme the environment was. We looked at each other and just laughed, and laughed, and laughed. There was nothing else to be done. Well, possibly throw a tarp over the camera man hugging his camera. When I think of Liam I think of that moment: surrounded by a soggy cast & crew, jammed into a tiny entry way, just laughing at the storm. He will always be alive to me in that memory. I hadn\’t checked this website in a long time. I recently graduated college, which kept me busy, but all throughout my high school I frequently visited this site. I was devastated to find out the news. Liam was a person full of creativity and passion. After reading so much about what someone else thinks every night for a few years, you almost feel like you know that person. He will be greatly missed, and I will always remember him as that person who got me through tough times in high school with his comedy. My condolences to all who knew him personally.